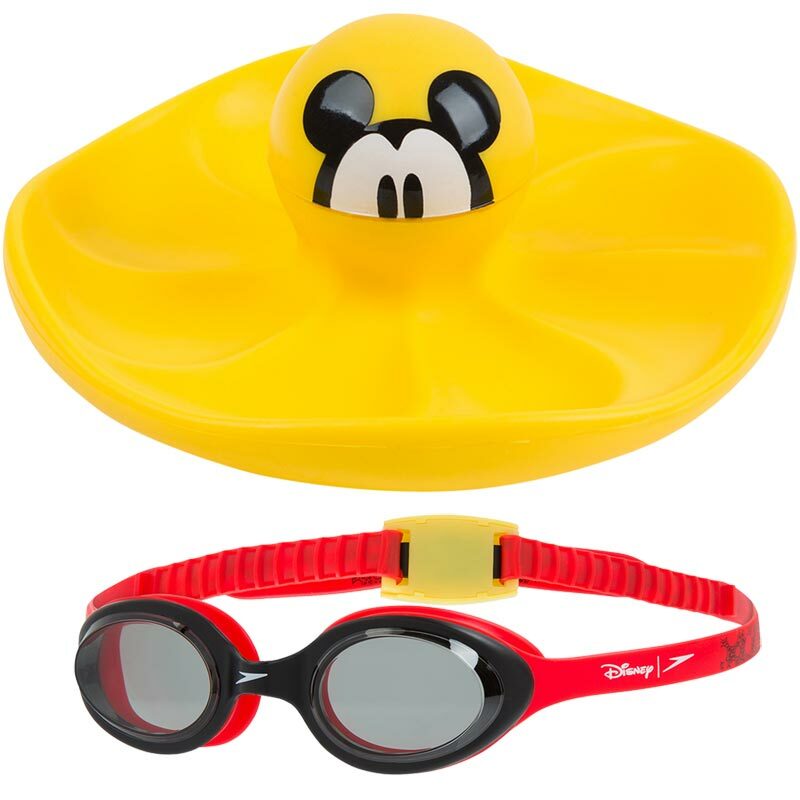 The Speedo ® Mickey Mouse Sink Toy and Goggles Set is designed for young swimmers who are learning to swim. It helps your little swimmer improve their confidence. The Speedo ® Disney Skim & Sink Toy slowly descends to the bottom of the pool, throw it in and see who can collect it the quickest. 1 x Speedo Mickey Mouse Sink Toy. 1 x Speedo Mickey Mouse Goggles. Part of the Speedo Learn to Swim stage 3 range.